But that doesn’t mean Tim Craft’s team is a complete unknown, especially to its conference foes. To get a better feel for Virginia’s next opponent, we turned to former Winthrop standout Adam Pickett, a product of Stuart Hall in Staunton, VA. Pickett just finished a strong senior season with averages of 12.5 points, 5.8 rebounds and 2.7 assists per game while shooting over 60 percent from two and over 40 percent from three. In 2017, he helped the Eagles to a their first NCAA Tournament appearance since 2010. He’s planning to play professionally overseas. He also knows Gardner-Webb as well as anyone. This season, Pickett, a 6-foot-1 combo guard, averaged a double-double — 13 points and 10.5 rebounds — as the Eagles and Runnin’ Bulldogs split their regular-season meetings. Overall, Pickett faced Gardner-Webb 10 times in his career, so he’s especially well-acquainted with star seniors David Efianayi and D.J. Laster. Efianayi leads the charge offensively at 18.4 points per game. A second-team All-Big South selection for the second consecutive year, he shoots nearly 49 percent from the field and over 41 percent from three. 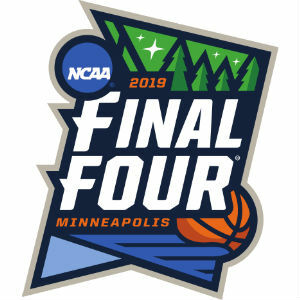 Augusta Free Press coverage of the 2019 NCAA Tournament is presented by Bear Creek. Serving Waynesboro, Charlottesville, Harrisonburg and surrounding communities, Bear Creek provides a hassle-free process to help homeowners create outdoor living spaces that bring people together. Schedule a consultation at BearCreek.co. Pickett was also impressed with Efianayi’s athleticism and his ability as a ball-handler in on-ball screen situations — something he believes can be challenging for Virginia’s hard-hedging big men. Efianayi averaged over six free throw attempts per game this season. The Runnin’ Bulldogs don’t always live up to their nickname — they finished about middle of the pack in the Big South in adjusted tempo, per KenPom — but when they do run, both Efianayi and Jose Perez, a member of the conference All-Freshman Team and the team’s leading rebounder and assist producer, can be effective. Even against Winthrop, one of the fastest-paced teams in America, Gardner-Webb held its own. Though it’s Efianayi and Perez atop the scoring sheet, it was Laster who propelled the Runnin’ Bulldogs to an NCAA Tournament berth with a career-high 32 points in the conference tournament championship win over Radford. At 6-foot-6, Laster is Gardner-Webb’s tallest rotation player and a strong presence both inside and out. Because he’s undersized, Laster has to find ways to create offense other than just going over other post players. To do that, he employs “one of the best” shot fakes Pickett has seen. But Pickett also believes the Cavaliers will have an answer there. Given their lack of size, the Runnin’ Bulldogs primarily play a four-guard system around Laster, but they can use the 6-foot-5 Perez as a post option against smaller guards, Pickett said. Against Virginia, though, he doesn’t envision that being a go-to option given the Cavaliers’ superior size across the board. Instead, the Cavaliers will have to focus on the guards’ off-ball movement. Pickett mentioned the Runnin’ Bulldogs will take advantage of any ball watching because their guards are constantly probing the lane. The Runnin’ Bulldogs can shoot it well and play with pace when the opportunity is there. They possess talent along the perimeter and a skilled post presence. Though undersized, they won’t back down from anyone — they went on the road and beat both Georgia Tech and Wake Forest earlier in the year. The Cavaliers will have to be prepared. Given the elevated circumstances of March, they certainly will do their absolute best to start what they hope to be a long tournament run with a strong effort Friday.